Did you know that Nadia and Mikail are siblings? Yes, they are. 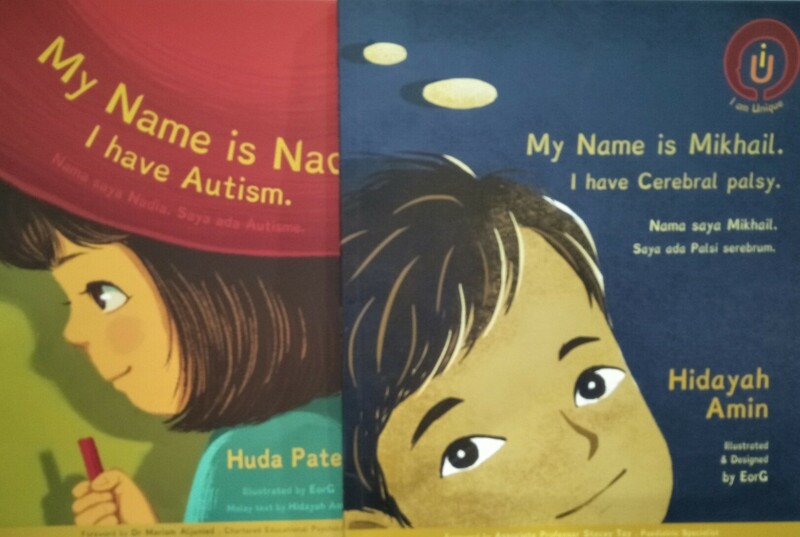 Nadia has autism, and Mikail has cerebral palsy. Whilst, Mikail is a six-year-old boy who suffers from cerebral palsy. He is also a quadriplegic who needs to be carried and supported. Despite his unfortunate medical condition, Mikhail shows much enthusiasm. He tries to communicate with others through eye signals and expressions and by speaking in his unique language. The selling of these books is 100% for charity purpose - to help to bare the cost of medical/education/daily expenses of Nadia and Mikail. My Name is Mikail. I have Cerebral Palsy.